Fried Gray Mullet with Curcuma (Pla Ka Bok thod Ka Min) - As I told you before that most Southern menu will have yellow color. For this menu curcuma will give light yellow and also make them delicious too. And you also can choose to use another kind of fish for this menu, not only mullet fish. 1. Pound all the spices well together. 2. Apply pounded spices on fish and in the stomach of a fish. Marinade for 15 minutes. 3. Heat oil. Separate fish spices, Fry fish until golden brown on both sides. Set aside to drain. 4. 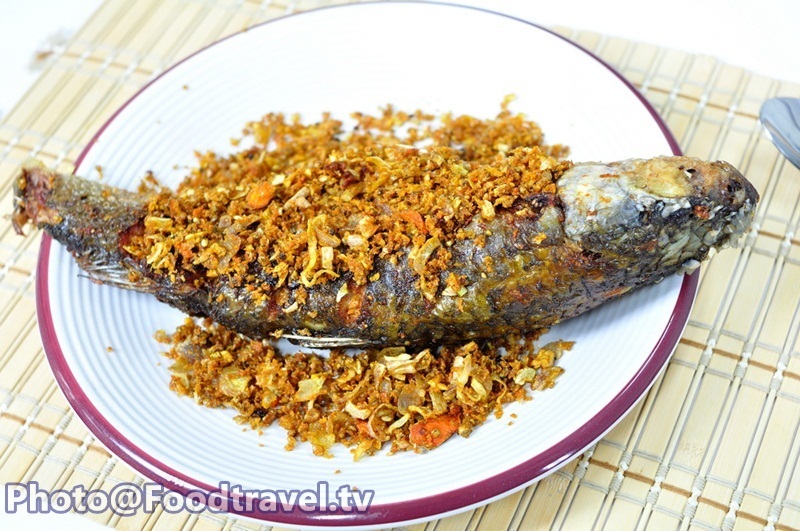 Dims the heat and fry fermented fish spices until gold and crispy. 5. 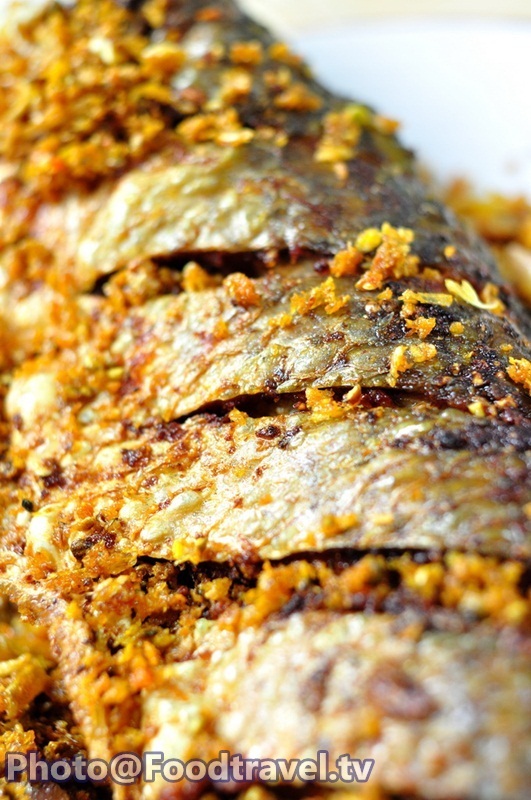 Top with fried spices on the fish. Ready to serve.